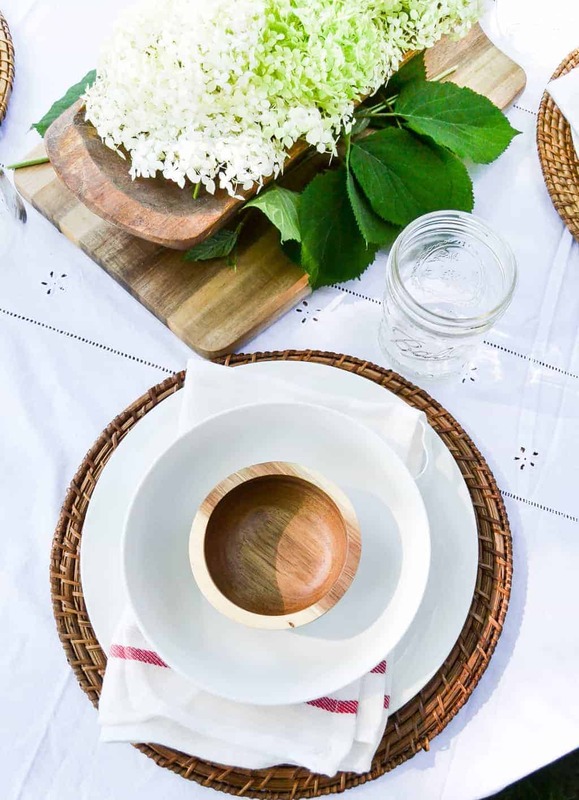 Today, my blog friends and I are bringing you summer tablescape goodness. 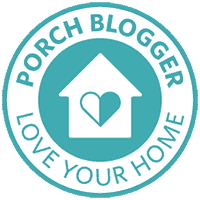 This post is hosted by The Crowned Goat and 2 Bees in a Pod and I couldn’t be more happier to break away from the flip house to join this blog hop. 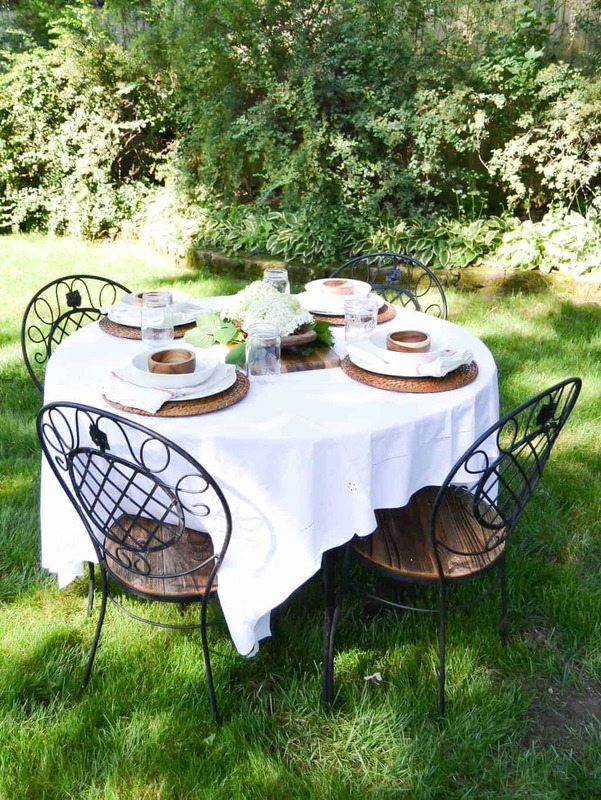 Summer tables are so easy, especially when you find an amazing table and four chairs at a yard sale to make over and use. I found this set at a yard sale. The table did not have a top and the chair cushions could not be saved. The set was an off-white color that I wanted to change as soon as we got it home. Matt started cutting reclaimed wood for the table top and chair seats and I started spray painting the set black. It turned out beautiful. Eating outside in the summer is one of my favorite parts of the season, but it has been so hot in Iowa lately that we haven’t enjoyed a meal outside in a while. As soon as we had a break in the heat and humidity, I took advantage and set this table. I used wood chargers and bowls that I found at a thrift store. Our white, everyday dishes were set on top. Then, I grabbed our mis-matched jars for glasses and used IKEA towels for napkins. 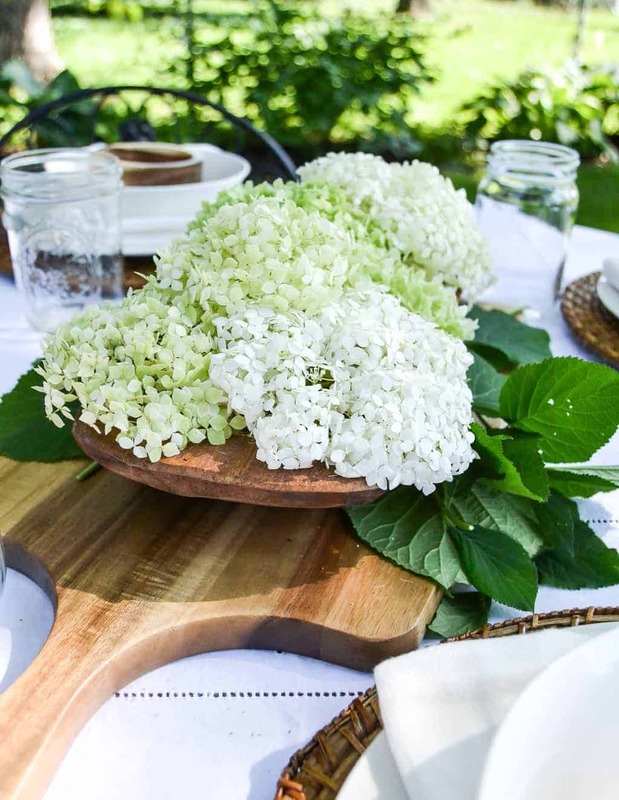 The centerpiece came together with an ALDI, wood cutting board, a yard sale dough bowl and flowers from the yard. Easy peasy. Any time I can cut flowers from our yard for photos, entertaining or a meal, I am happy. The hydrangea are just starting to pop out in our yard and I can’t get enough of them! 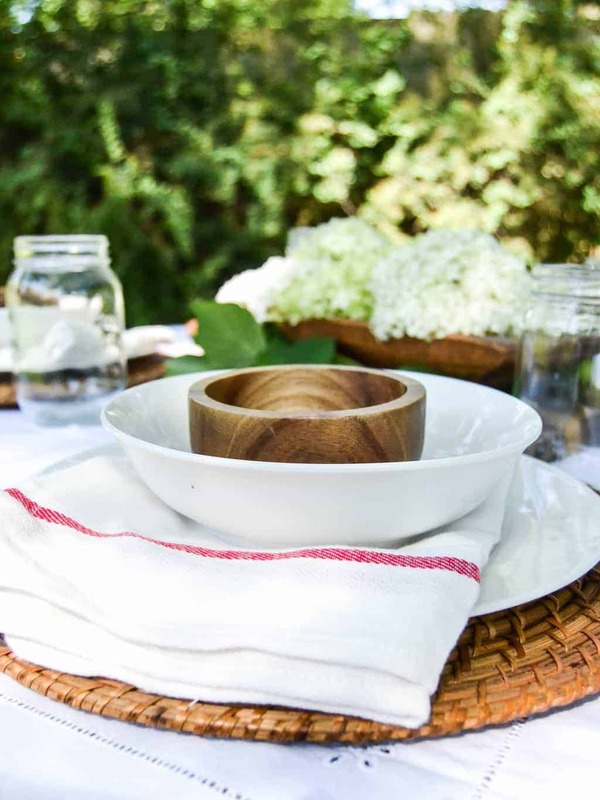 Making an alfresco meal a little more special does not have to mean a lot of work. 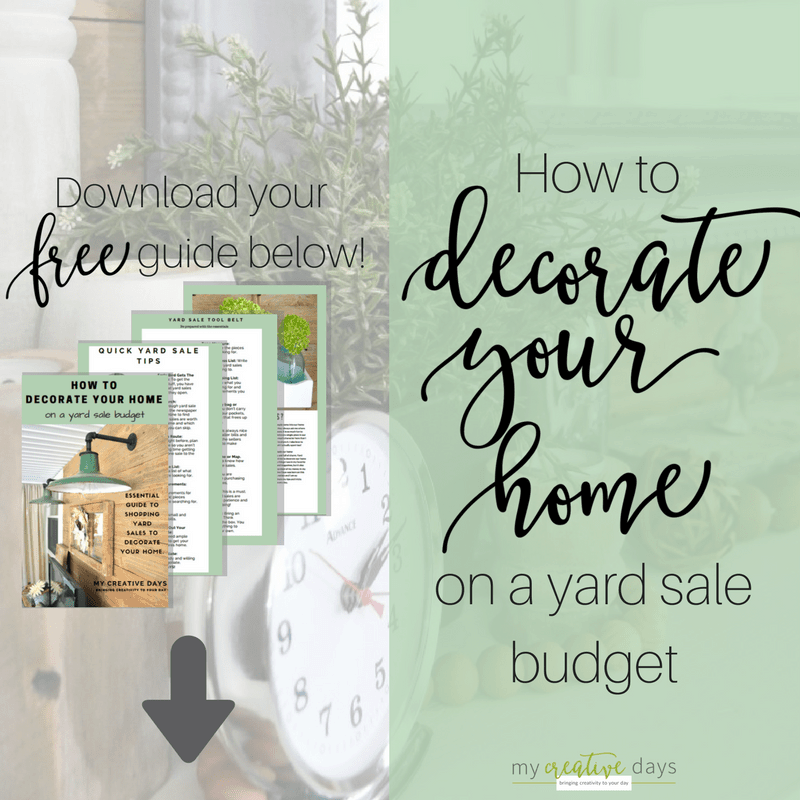 Use what you have both in your house and your yard to set the scene. Who has time for more fuss than that anyway? Not this girl. 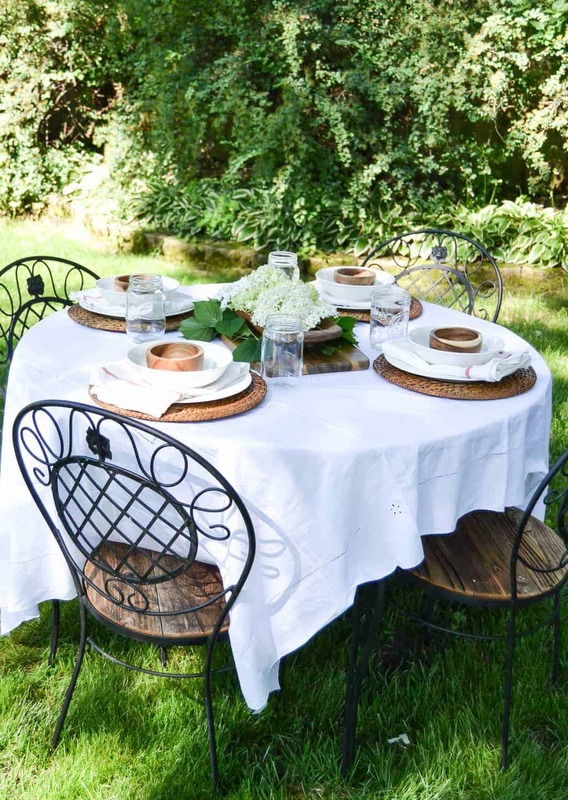 Does your family eat outdoors in the summer? What is your favorite meal to prepare during the hotter months? Lindsay – you make it all look so easy. 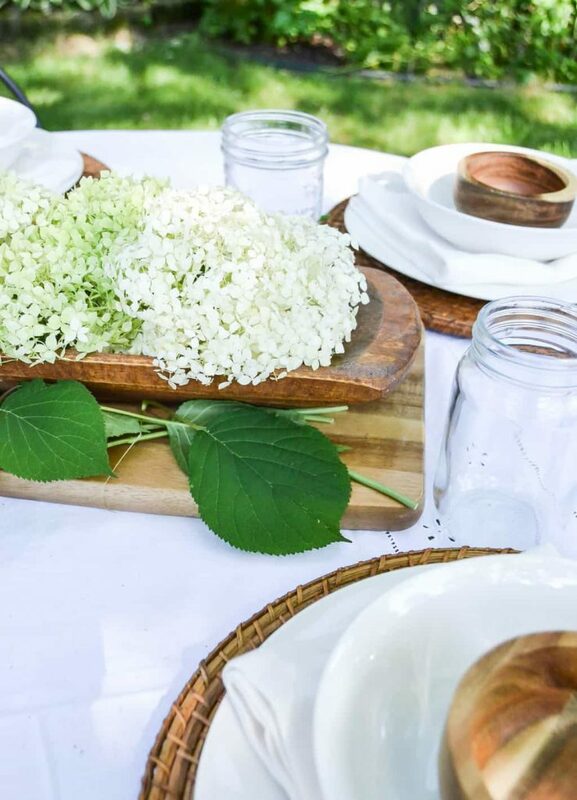 Your outdoor tablescape is so pretty and inviting – we wish we could share a special bev with you! Best wishes with the flip house…we love following along! Thank you so much ladies! You are the best! Lindsay……what a lovely outdoor table setting. 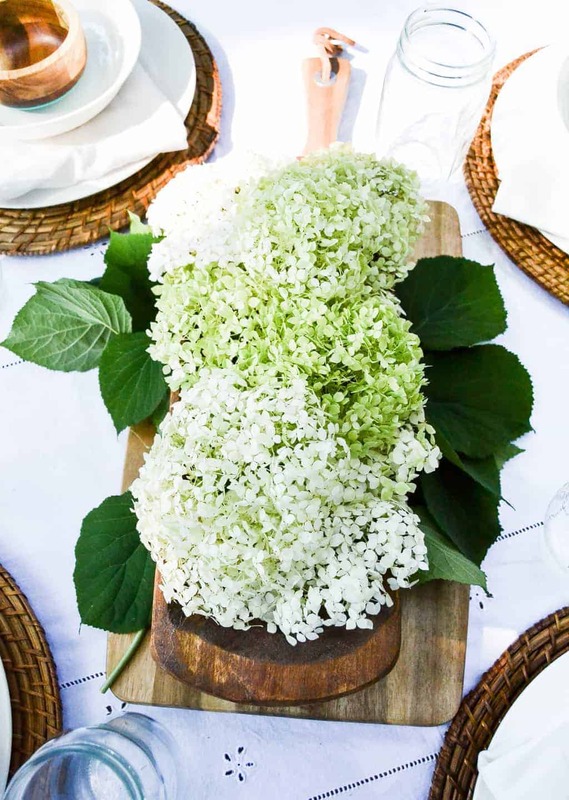 Hydrangeas are one of favorites and your centerpiece looks amazing. Everyone will love dining in this area. Oh my goodness Lindsay! 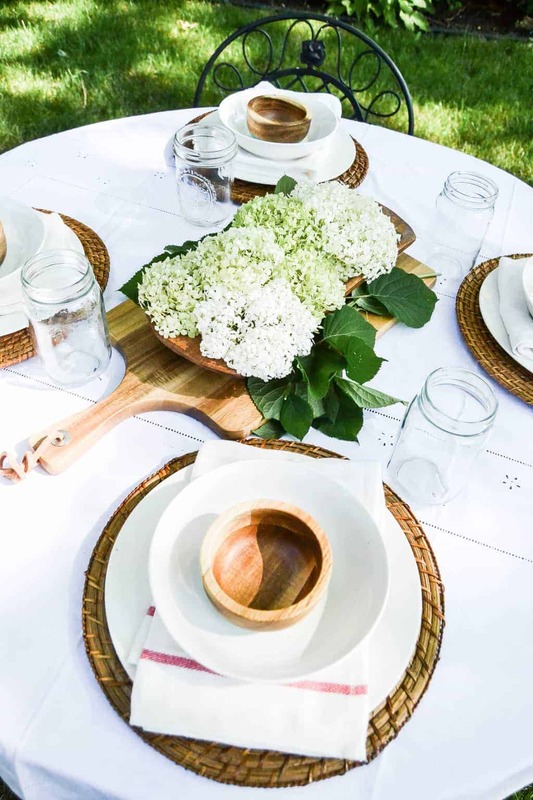 What a dreamy Summer tablescape! 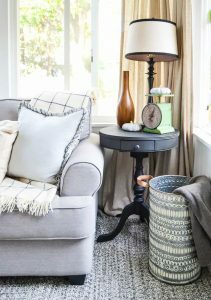 I love that gorgeous table set and what a great idea to use those towels as napkins! It’s absolutely perfect!!! 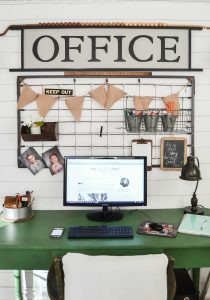 It’s so simple and classy! I love the white table cloth. I’m sure you will enjoy many meals out there. It’s such a lovely place. 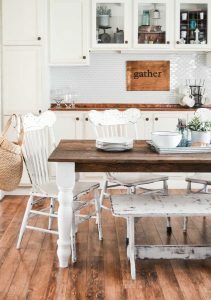 I love the wood and white combo you have going on here, SO pretty! 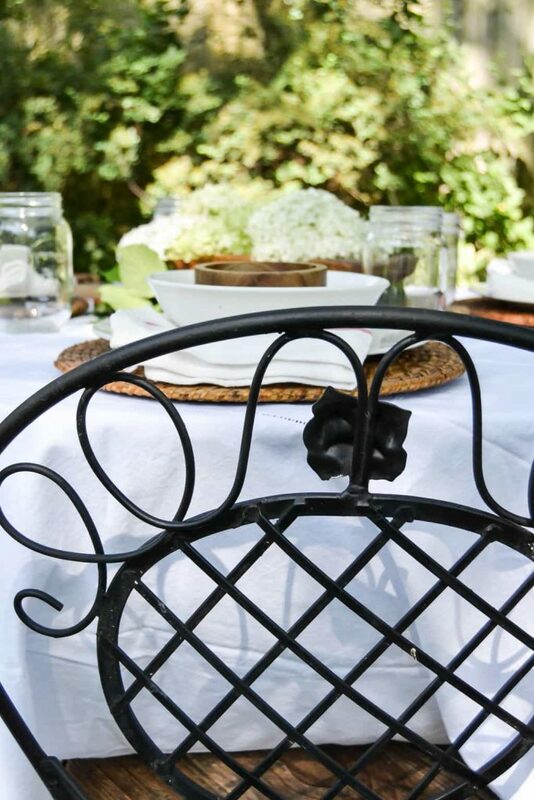 Your table looks amazing Lindsay and it looks beautiful in your yard. Love how you set your table and the pop of red from your Ikea towels and your hydrangeas are the perfect centerpiece. Oh it looks so classic and beautiful! 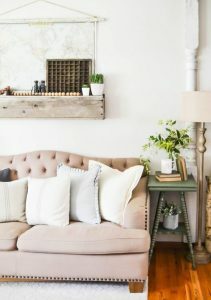 I love all of the texture and the wood tones – so cozy!